Soils at the Hamilton EverGraze Proof Site are derived from basalt, and consist of sandy clay loam topsoil 15-20 cm deep overlying clay subsoils. 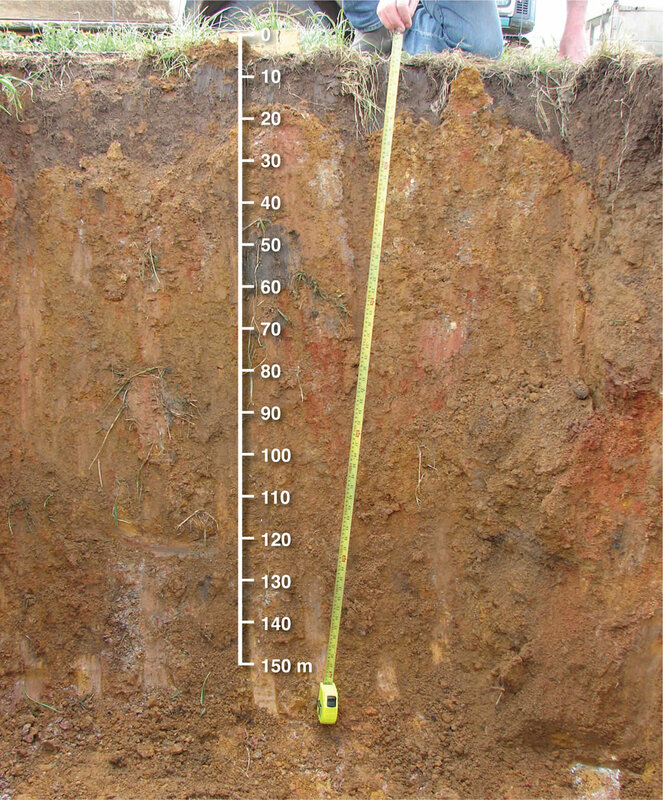 These soils are typical of large areas of South West Victoria from Geelong to the South Australian border. A soil survey of the Hamilton Research Stations recognised three topographic phases, which were termed “crest”, “slope”, and “valley”. Crests are well-drained, had gravely topsoils and slopes of 0-3%. Subsoil clays are typically yellow to red in colour, which indicates good internal drainage and aeration. Slopes are moderately well drained, with slopes averaging 6%. Valleys are subject to short-term flooding by drainage from higher parts of the site for periods of up to a week during wet winters, and have slopes of 0-2%. 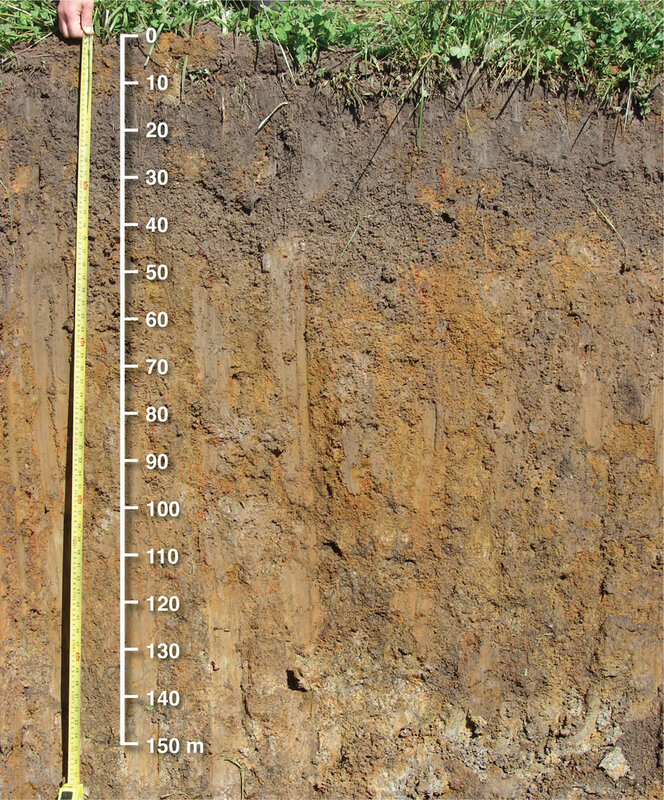 Subsoil clays in both the slope and valley areas are typically yellow to pale grey, which indicates prolonged periods of waterlogging and poor aeration. Soil pits of the well drained crest and poorly drained valley are shown below. A heavier and wetter brown duplex soil on the valley floor at Hamilton EverGraze Proof Site.